Have you ever tried to use your touch screen phone in the sun? 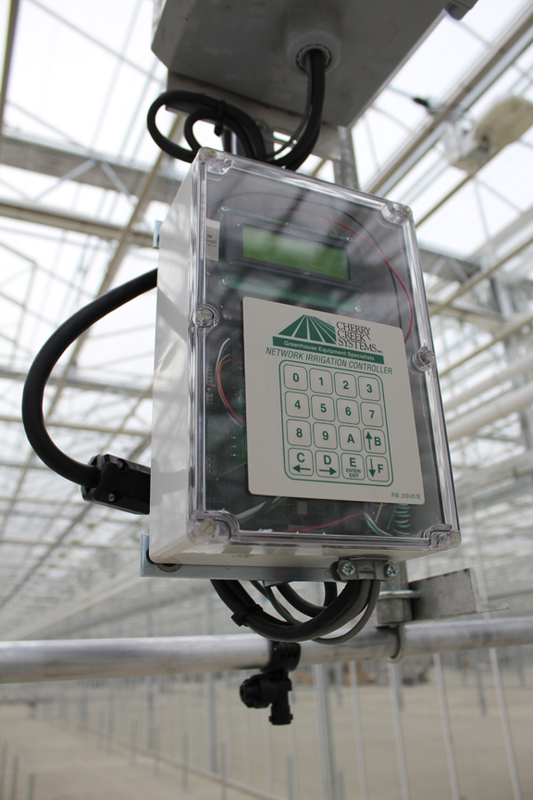 The need for easy-to-read and operate controls continues to be at the forefront of Cherry Creek’s design for automated greenhouse control systems. 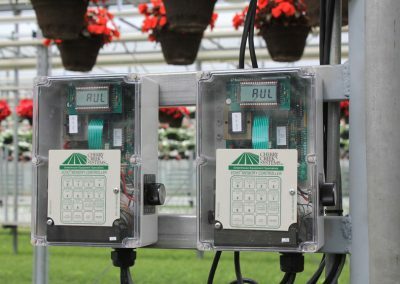 Our Boom and ECHO greenhouse water controllers reduce & simplify day-to-day routine, increase capacity, and let you focus on building your success. Simple to operate while capable of performing complex tasks. 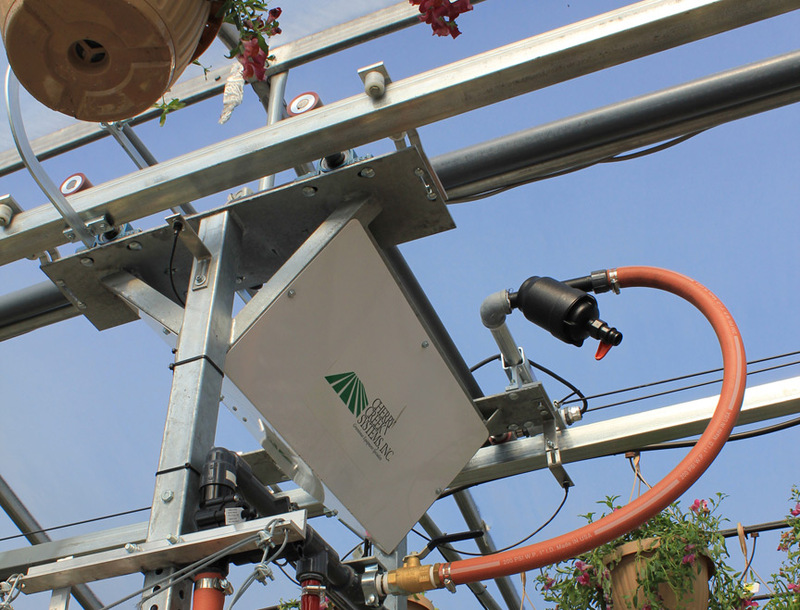 Multiple crops can be programmed to irrigate separate parts of the bay using the same Boom. 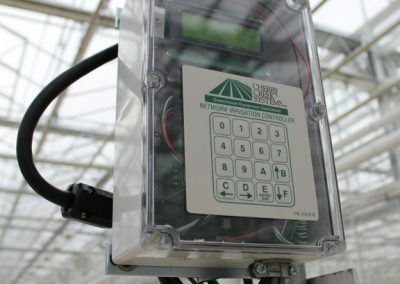 Cherry Creek’s automated greenhouse control systems are smart enough to calibrate to the bay length and memorize its parameters, making the use of magnets all down the bay a thing of the past. Just key in the location of the crops using feet or meters and the boom will know where you want it to water and how. 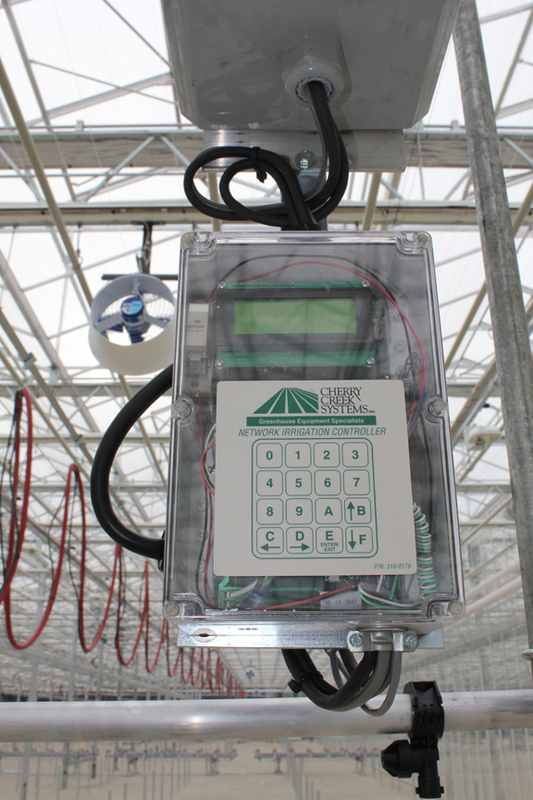 Cherry Creek’s newest automated greenhouse control feature. This innovative program allows growers to water pots, containers or baskets in the bay. 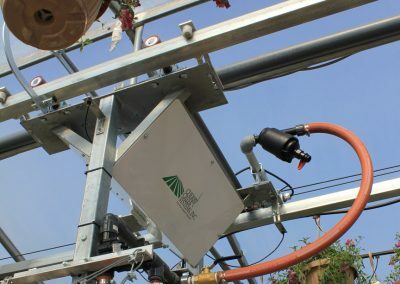 Since the boom can be programmed to step any given distance, stop on each row of pots and water, the grower can accurately control the amount of water each plant gets. 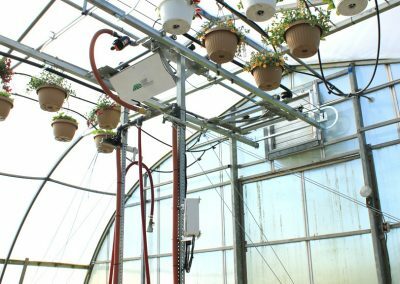 This idea has also been incorporated into the Cherry Creek ECHO greenhouse water controller to maximize basket quality. With a 24-hour time clock chip in every automated greenhouse control system, it can be guaranteed that the Boom will water what you want, when you want. 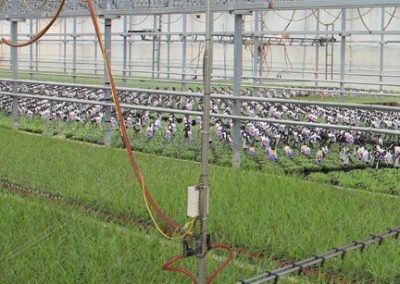 It can be used to root cuttings in propigation, add to the greenhouse’s relative humidity and in some cases be used to assist in height control. 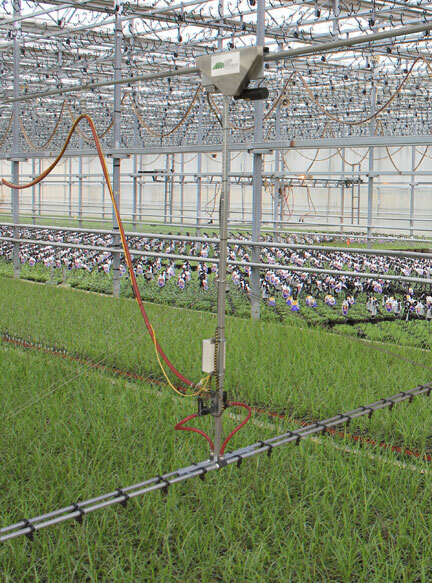 In just a few keystrokes, the Booms can be programmed to water based on the plants specific needs. 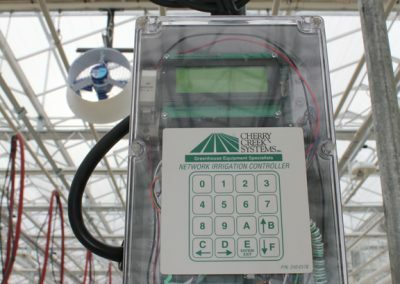 What ever the need may be, Cherry Creek’s greenhouse water controllers have the solution.